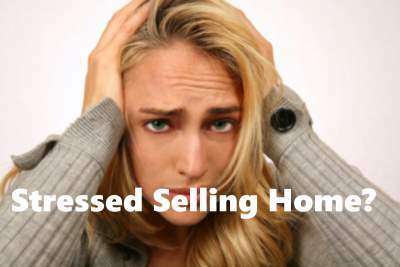 Are you relocating and finding the stress of selling your home overwhelming? In a recent study, people said that relocating was “more stressful than a relationship breakdown, divorce or even a new job”. Almost two out of three people (61 percent) placed relocating at the top of their stress list in a poll of 2,000 adults who have moved home in the past three years. Selling your home can add to the stress of relocating. Sometimes, the conventional method of selling your home actually adds stress to the process. With the conventional method, you hire a real estate agent, you wait for a buyer to fall in love with your house and then to obtain financing. Next, you have to deal with the buyer’s bank and the bank’s appraiser. Sometimes, even after all of this, the deal might still might fall through, often for no explainable reason. This isn’t good news if you would like to sell your home fast and move on. But it’s the sad truth. If you’re getting overwhelmed with stress thinking about selling a home because you need to relocate, then your best bet may be contacting a real estate investor who buys with cash and can simplify the process for you. Sometimes however, relocating isn’t always the cause of stress. Here’s several other life events that can cause people stress and the need to sell a home. Divorce: After a heart wrecking divorce, you and your partner might decide to sell off the house. You may have decided that you just want to sell off the house fast and move on. An investor can buy your house and close the deal fast. Relocating: Maybe you just got a job offer in another city and you need to sell your house quickly. It’s a disruption of your normal routine but it’s for a good cause. You may even be asking the question “How can I sell my house faster for a fair price?” Sometimes, you may ask yourself if selling real estate investor can help you sell your home more quickly than using a real estate agent. Retirement: Retirement years shouldn’t be all down in the mouth. It might be a great time to fulfill your dream. Who needs the big house anyways? This is a time to downsize and start making those unfulfilled dreams come true. You’ve worked hard to get here, now you want to travel or move closer to your grandchildren. Don’t let your home keep you from living your dream. On the other hand, don’t give your home away either. You saved and worked hard for many years to keep your home. Now is not the time to just sell your home on the cheap. You can still sell your home for a fair price, even if it needs repairs and move on to the rest of the items on your bucket list. Inherited house: You don’t need to spend all your life savings on that inherited house. Sometimes, there may be nothing wrong with the old house, other than being dated. However if it needs a lot of expensive repairs, you may not be ready or have the money for that. You can sell it off to a trusted investor and close the deal fast. Financial problems: You might have problems with your mortgage or a financial hardship. Selling that house can help you get back on your feet. Sometimes, you might only need to downsize and move to a smaller more affordable home. You want a buyer who doesn’t need to wait around for cash and can close quickly. Only investors will offer this. Cash home buyers are becoming more popular. They offer flexible arrangements and provide a stress-free transaction. How do they do this? Easy and fast proceedings: Once you provide us with the details of your property, the house sale process is on and you close on your house fast. If you need to sell fast, we can close in 7 days or less. No closing cost: Typically in a normal real estate transaction, the seller is expected to pay some or all closing costs. The buyer might assist if he is large-hearted or wants to beat the competition. However, in a cash buyer transaction, you don’t have to worry about closing cost. Typically, a cash buyer will pay pay all normal closing costs. Sell as is: Are your kitchen and bathrooms are dated and not in tip-top shape? No cause for alarm! You can sell your house in any condition. When you sell to us, you don’t need to spend money on repairs or renovations. Just call us, we will buy your home as-is. This is good news if you’ve been battling with repairs. No listing fee: You don’t have to pay Realtor commissions to an agent. Since real estate investors buy directly from you, nobody charges you and no commission is required. Flexible plans: Maybe the problem is with your mortgage, but you want to sell fast and avoid foreclosure. Some investors have plans that will take over your mortgage. Others may allow you to live in the property or rent until you find a home that meets your criteria. If you need to stop a foreclosure in California, be sure to give us a call sooner rather than later. Relocating is stressful. But, you don’t have to combine the stress of relocating with the stress of selling your home and all that it entails: finding a buyer, waiting for financing, getting an agent, showing homes, listing and making your house show-room ready. You can receive a fair cash offer today. Call or text us today 916-542-2425.